250 cinemas are hosting dedicated autism friendly cinema screenings this month (including additional screenings for the summer holidays) right across the UK in partnership with Dimensions, a national not-for-profit support provider for people with learning disabilities and autism. The complete listing of locations is in ‘notes to the editor’ below for ease of reference. 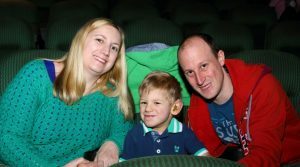 Cineworld cinemas show their autism friendly screening on the first Sunday of every month. Their next showing is Captain Underpants on Sunday 6th August at 11am. Showcase cinemas show their autism friendly screening on the second Sunday of every month. Their next showing is TBC. ODEON cinemas show their autism friendly screening on a different Sunday each month/ This month they are showing Despicable Me 3 on Sunday 23rd July at 10.15am. ODEON cinemas also show an additional screening for older audiences one Monday a month. This month’s film is Spiderman: Homecoming (12A) on Monday 24th July at 6pm and it is showing at NINE cinemas listed in the ‘notes to the editor’ section below. Vue cinemas show their autism friendly screening on the last Sunday of every month. Their next showing is The Smurfs: The Lost Village on Sunday 30th July at 10.15am.